Having problems using iMessage? Apple says an update to fix the issue is coming real soon. 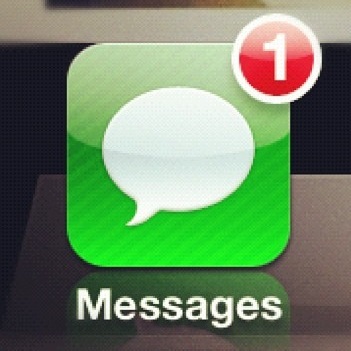 If you’ve been unable to send messages via iMessage over the past few days, fret not. Apple has acknowledged the problem and is working on a fix. We are aware of an issue that affects a fraction of a percent of our iMessage users, and we will have a fix available in an upcoming software update. In the meantime, we encourage any users having problems to reference our troubleshooting documents or contact AppleCare to help resolve their issue. We apologize for any inconvenience this causes impacted users. The eagle-eyes over at 9to5mac suggest Apple is testing a new iOS update — iOS 7.0.3 — which will bring a fix to the software issue, in the same way that it recently patched up a vulnerability with its lock screen password system by releasing a new version of iOS 7.